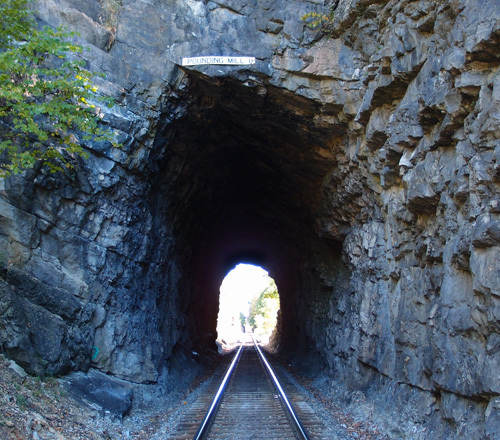 N&W always called the tunnel “Cooper”, but it’s located at Coopers, a small community that was once a busy junction on the N&W. The company store is still intact, as are several other structures. People still live here. Coming out of this tunnel and flying over both the Bluestone River and County Highway 120 is a massive deck truss trestle. Between 1919 and the early 50s, this line was operated by electricity. 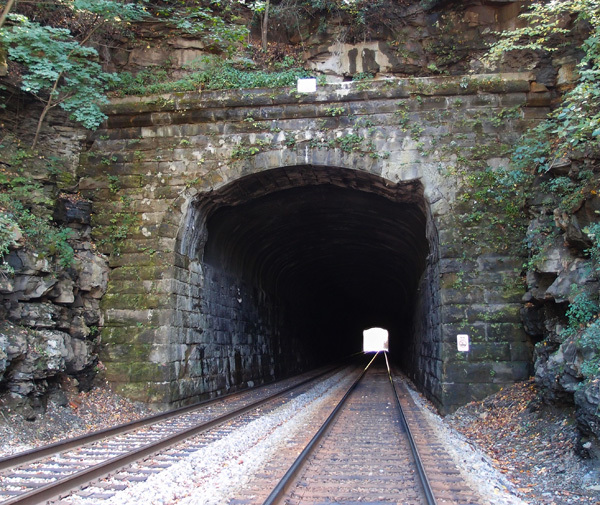 The tunnel, just a few miles from Bramwell WVA, is centered at 37.320506, -82.326452 and is about 758′ or so (measured on Google Earth). The date on this NW portal is 1902. 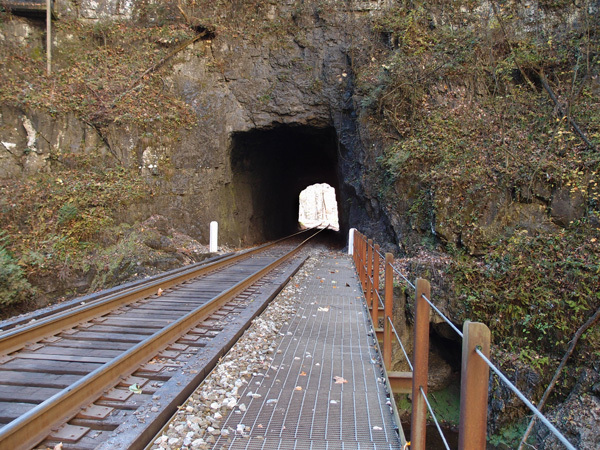 The tunnel goes through Laurel Ridge. So, here’s tunnel #2. It probably looks pretty much as it did 120 or so years ago. We’re about halfway between Cedar Bluff and Claypool Hill in Tazewell County VA. 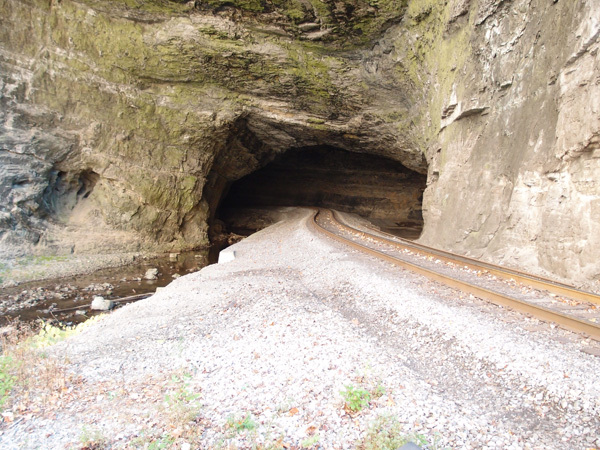 This is on an N&S line from Bluefield to Norton. It’s the first of three. It’s centered at 37.078360, -81.746409 and is about 545′ long. This line came through between 1887 and 1890. 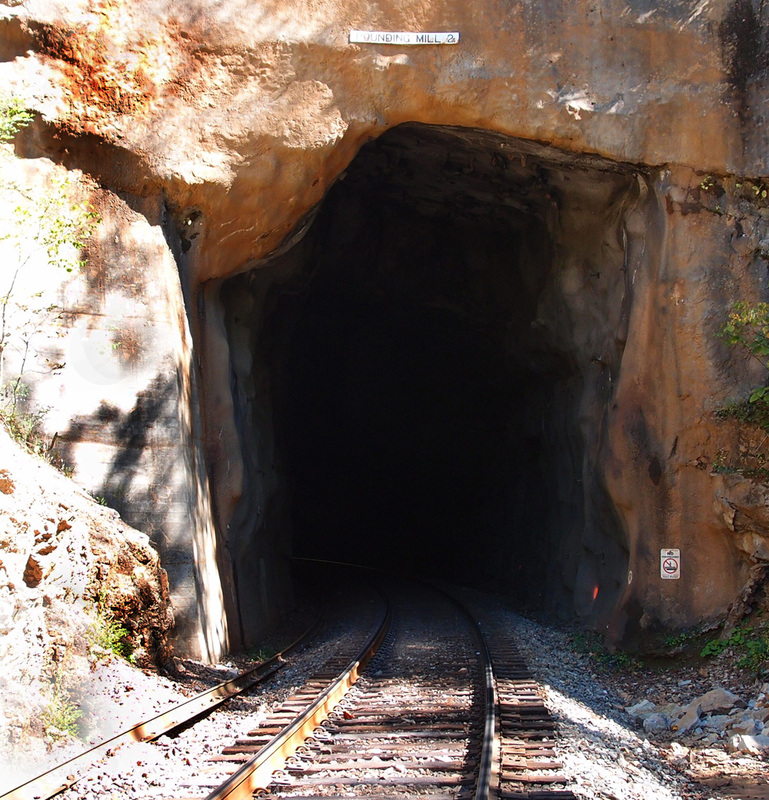 We’re heading up to the UrCoal region: Pocahontas, but we’ve got a couple more tunnels to check out.